For a music lovers, Pandora radio holds almost all the music you will ever need. You name an artist and Pandora will definitely have their music. Pandora even doubles us as an automated music recommendation service that analyzes your music preference and suggests you similar artists based on your choice of music . Unfortunately Pandora currently blocks all traffic from outside of US, Australia and New zealand on the basis of IP filtering . Which means based on your computer’s IP address Pandora can block any users who don’t belong from the above countries . But there are many workarounds to access Pandora and listen to free music on it . In this article we are going to find out about one of the most easiest methods to access Pandora from any country outside the US . Well IP filtering is a not an effective method of blocking country based traffic , as nowadays people can easily use proxy servers to bypass this limitation and access Pandora . So using a proxy server you will be easily able to access Pandora and listen to free music on it . Hola Unblocker is an easy to use and simple proxy server extension for the Firefox and Google chrome web browser . 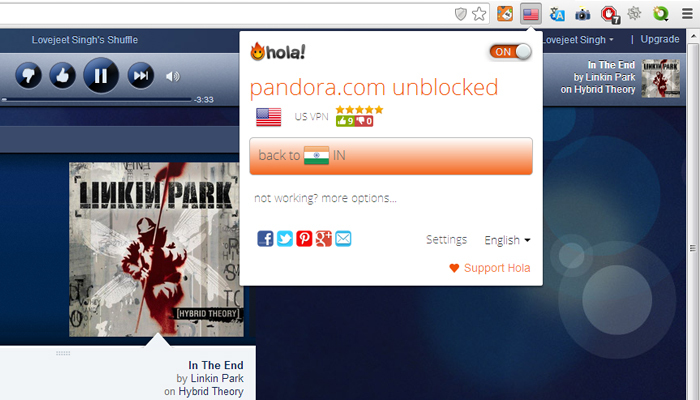 Using Hola unblocker you can easily access Pandora from the countries where it is blocked . I have been successfully using this extension for around a year and till now I have been able to access Pandora without any hiccups . Apart from Pandora , Hola unblocker even allows you to access many other sites like Netflix , Hulu , which are also restricted to viewers outside the US . 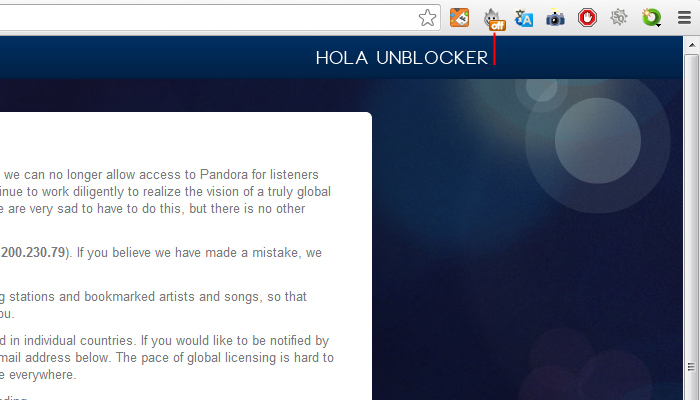 Follow the instructions below to access Pandora using Hola unblocker . Step 1: Install the Hola unblocker extension for your respective web browsers from the links below. Step 2: Once the extension is installed in your browser , you will be able to see the Hola icon in your browsers addons bar . 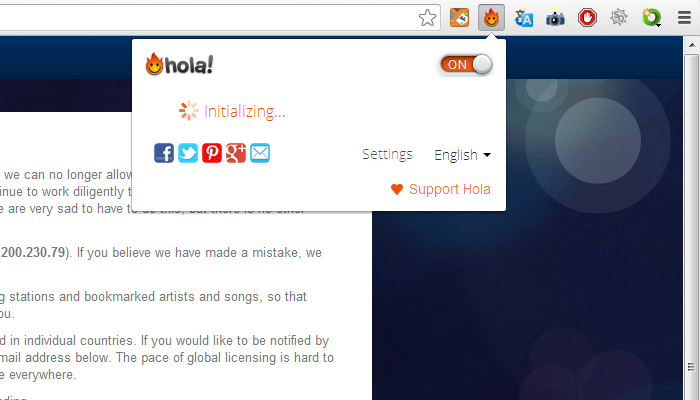 Step 3: Now head over to www.Pandora.com and then click the hola icon from your browsers addons bar . By default hola will be turned off , click on the off button to toggle it on . Step 4: Once Hola is turned on it will automatically show you a list of proxy servers to choose from . 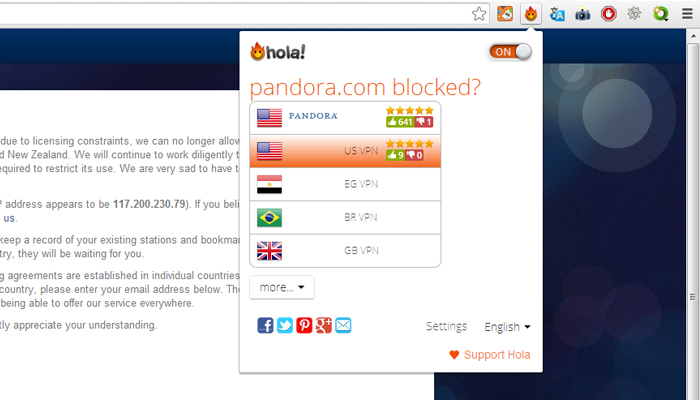 Select a US proxy and wait for a few seconds for hola to automatically reload Pandora with the new proxy settings . Step 5: Now you will be able to access Pandora . 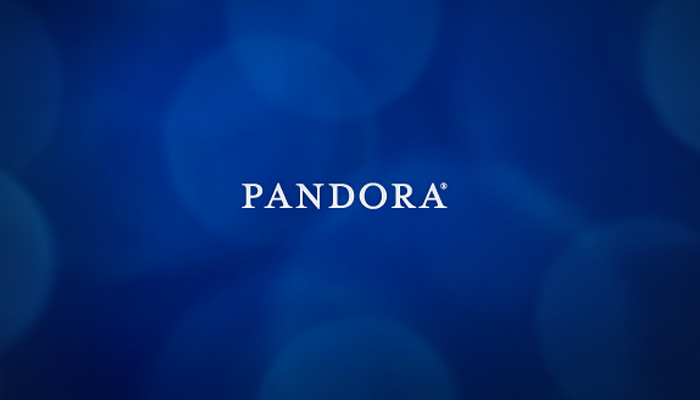 Next you can register a pandora account and enjoy listening to free music online.